Vleeshal is pleased to present UNTITLED PERIOD PIECE, a solo exhibition of new work by Amanda Ross-Ho. Her exhibition at Vleeshal will present a new body of work exploring themes of labour, time and economy. UNTITLED PERIOD PIECE fits within Amanda Ross-Ho’s series of exhibitions that examines the relationship between the universal (title) and the specific (time). ‘Period piece’ refers to films set in an earlier time period, that offer a cinematic snapshot of a historical moment, such as Charlie Chaplin’s ‘Modern Times’. 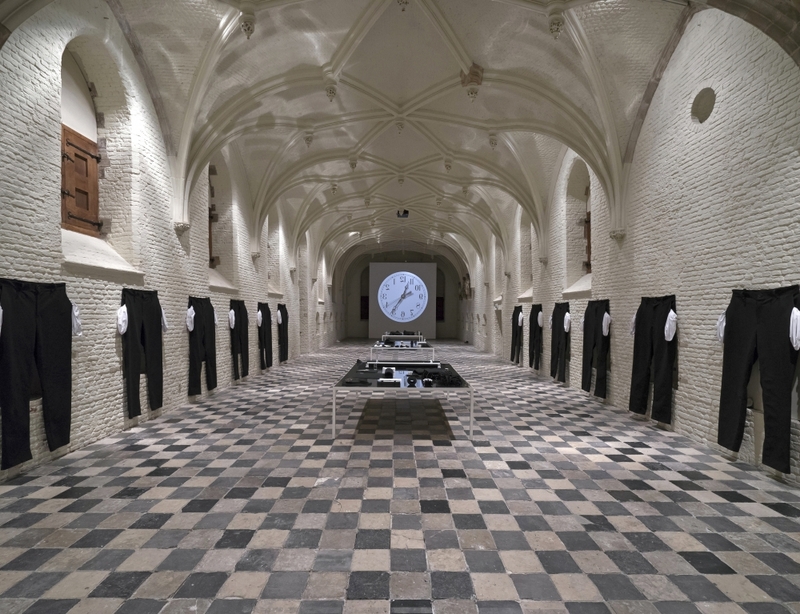 By including an inverted barbershop’s clock and a series of identical garments, enlarged and produced on site, the installation becomes a theatrical worksite. 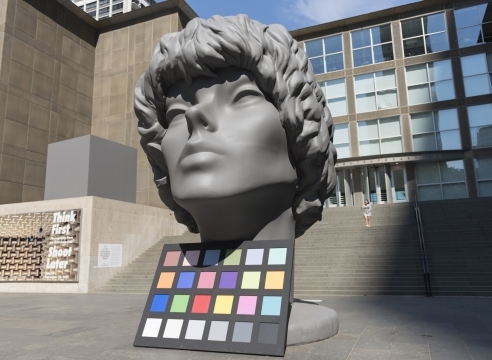 The space will feature a series of sculptures that take the form of workbenches with mirrored surfaces displaying miniature sculptures and small objects from mass-produced baby sneakers to prehistoric silverfish rendered as 3D prints. The exhibition will be Amanda Ross-Ho’s first solo exhibition in the Netherlands and is co-commissioned with Bonner Kunstverein, where it will open on January 27 and run to April 2, 2017.